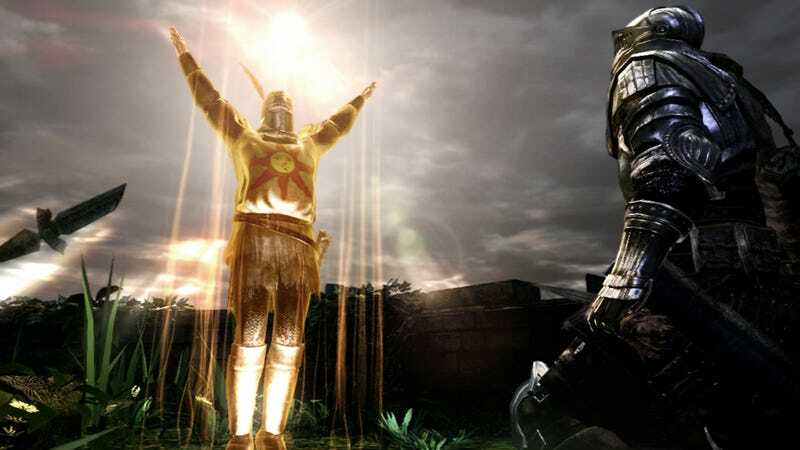 Will You Forgive Dark Souls' Developers? Please? Role-playing game Dark Souls was, for many players, the best game of last year. Yet, like many titles, there were bugs and frame-rate issues. From Software, the game's developer sure sounds unhappy about that. "Yes, there were technical difficulties," the game's creative director Hidetaka Miyazaki told Edge. "I don't believe that it's okay to have them, but realistically speaking, it was quite a large-scale game—even in terms of budget and expectations. So we're very sorry for the trouble we've caused by our processing errors and bugs from Japan." There isn't just a bit of Japanese humility in what he's saying—there's a lot. Miyazaki went on to add that there were areas that the development team felt like its technical side could not keep up with the game's scope. While Miyazaki might not forgive the technical issues, players seemed to be far more giving and are eagerly anticipating the next Souls title—something that might not happen. "We don't even know if we'll have another chance," Miyazaki said. "We have the confidence that we can improve from our mistakes this time and create an even better Dark world, but we don't know if the users will forgive us for the mistakes, so I cannot give an exact answer." EVERYBODY FORGIVES YOU, DUDE. MAKE ANOTHER GAME.